Football betting is far and away the most popular sport for gamblers to stay their cash on, and it is thanks to the popularity of football betting that online gambling companies have grown so much. As a result of this growth, many other sports have grown in popularity and stature, and there are now more sports and more markets to bet on than ever before. If you have been betting on football for a long tie, and fancy a change, why not try your luck on these exciting sporting events. 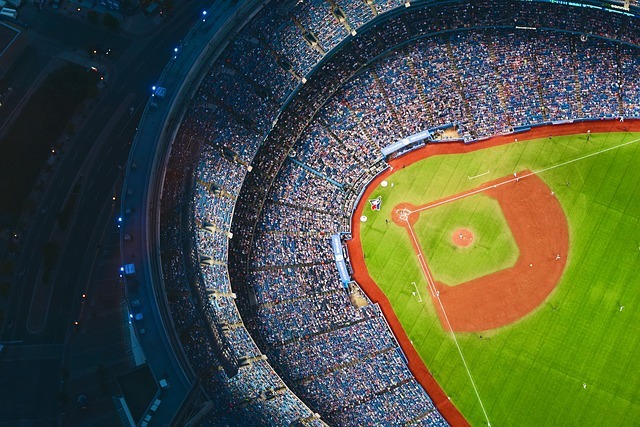 Believe it or not, even in the UK people bet on baseball and it is becoming quite the popular sporting event for the Brits. Within baseball there are lots of markets to bet on such as outright winner, overall score, under/over scores and time of the next out. If you don’t know a lot about the sport, you should know that it is a sport which rarely bucks the trend in terms of form. This means that as long as you study the form guide comprehensively, and hedge your bets, you could make a pretty penny from baseball betting. There are snooker tournaments all over the world, all year long which means that there are always opportunities to win some money from snooker betting. Outright betting can throw up some tasty odds, given that many players’ form goes up and down at speed. What I would recommend if you are going to get started on snooker betting, is that you are actually watching the game that you are betting on. The reason for this is that snooker offers a huge selection of in-play bets such as next colour potted and amount of time at the table, if you have the nose to smell which way the game is going to go, you can make a lot of money from betting in-play. The UFC’s popularity seemingly knows no bounds and with people like Connor McGregor and George St Pierre smashing box office records, it is a sport which looks set to grow even further. For us gamblers, this means that we have a great amount of fights to bet on, information to read about and markets to gamble. If you are new to gambling on the UFC then perhaps try to stick with outright winner markets, if you already know a little, or even a lot about the sport, you can find some great odds on some more specific markets. Betting on which round the fight will end, the manner of defeat or even mixing the two outcomes, can ensure that you are offered some great odds for you bet, and you can enjoy the fights knowing that you are onto a winner. I have been betting on UFC for around 6 months so far, and I have made a crazy amount of profit from it. Which sports do you like to bet on aside from football? Let us know in the comments below.